I’ve never tried colored pencil on regular printer paper before. It actually didn’t turn out too badly for a sketch, but toothy paper is better because it grabs more of the pigment and can hold more layers. 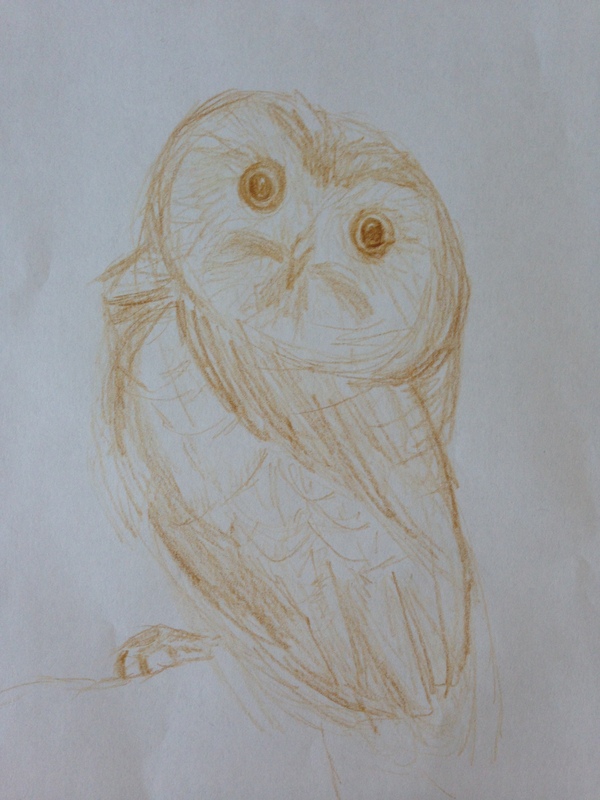 I found two photos of little owls, and just did a couple of quick sketches. I was too lazy to finish them. So many feathers, so little time! 😀 I hope they make you smile today. Happy Tuesday, and hopefully I’ll see you back here for a little watercolor experiment tomorrow. < N is for ??? Cute! Yes toothy paper is definitely better. LOL and so did you! Damn me and my hintholdingback-ness!!! You’re gonna wonder about this all day! By the way, I’m a bit envious of your owls all over. I’d love to see pics if you got them!! I’ll sure try! 🙂 Give me a challenge girlfriend and look out! LOL! Love the owl eyes. I say draw on anything you can, it’s all good practice! Thanks, Sharon. They’re so cute, I just couldn’t resist grabbing paper right outta the printer. Owls have such crazy eyes. Nice work. Don’t they? Thank you. Love them. Thanks! I totally love owls. That’s a great idea, Jill. I like the second beak too! Thanks. I was surprised I liked him unfinished. I should’ve drawn dancing owls. Maybe next time. One of my favorite birds. These are beautiful. Hope to see more in watercolors. How about some drawings of Bald Eagles? Thanks! 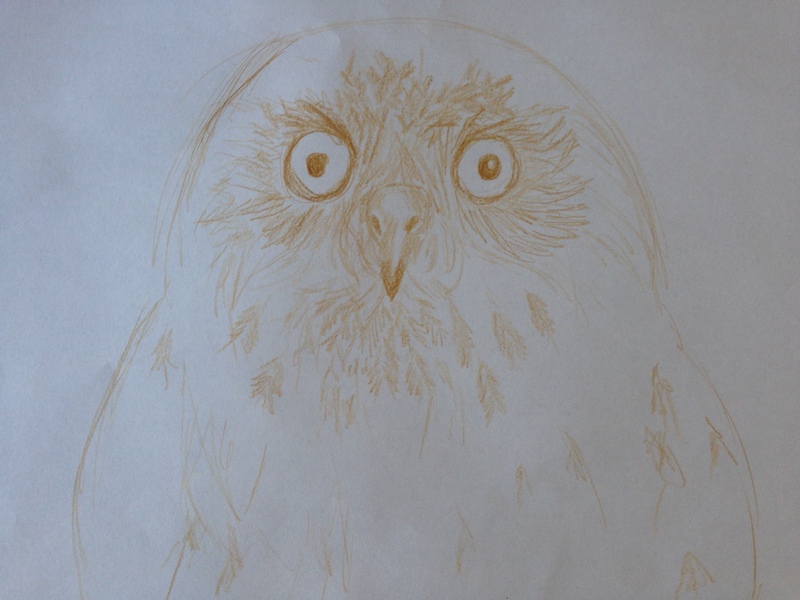 I’d like to see watercolor owls, and I will. In my dreams lol. I did do a bald eagle eye, I’m on the phone or I’d post a link. Love eagles!! Thank you, Johanna, glad you enjoyed them!